In the summer of 1989, a Chinese-American high school student who loves to play basketball finds out that a local college is sending a team to play a friendship game in Beijing. He's determined to be part of that team. That's the setup for "The Great Leap," a play set to open this weekend at the Guthrie Theater in Minneapolis. It's a tale of two very different countries, their shared love of basketball, and a talented young kid caught in the middle. The young student, Manford, manages to get himself on the team and all the way to Beijing, where he finds the game is as much about politics as it is about sports. The name of the play refers to the Great Leap Forward, a social and economic campaign by the Communist Party of China in the mid-20th century. Manford's character is based in part on playwright Lauren Yee's father, who also traveled from Chinatown to Beijing to play basketball in the 1980s. "It's kind of remarkable for my father to go to the country where his parents are from," Yee said. "To be able to see all of that for the first time, but at the same be going as the American representative." Growing up, Yee said, she always thought of basketball as an American game. True, it was created by a physical education teacher in Massachusetts in 1891. But just a few years later YMCA missionaries were teaching the sport to kids in China, and it quickly took hold. Yee says the game felt very collaborative — in other words, very Chinese. "It's actually the only Western sport that's never been banned in China," Yee said. "Mao really enjoyed the sport himself and he really saw it as something that reflected communism." Director Desdamona Chiang said basketball is often about the negotiation between the star player and the team, which is a great platform for juxtaposing American capitalism with Chinese communism. "Being part of a collective was more honorable than honoring your own individualism," Chiang said. "Whereas in America we celebrate the individual! We celebrate the person who's willing to stand up and resist and say something. 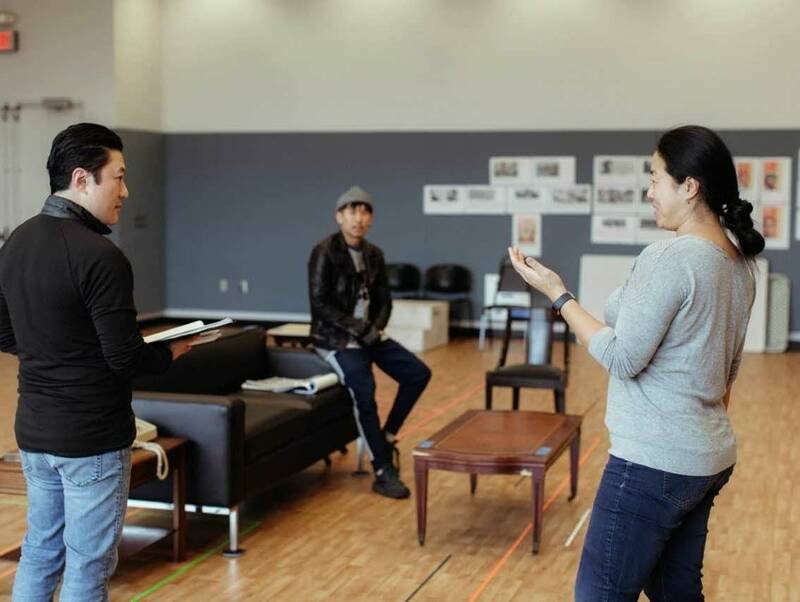 That's also what the play's about too, is how a game of basketball changes the viewpoints of one Chinese individual who goes from being part of a collective to taking a stand and becoming an individual." The play itself is designed to feel like a basketball game, with quick dialogue tossed back and forth like a ball. The show even times out to the approximate length of a game. Chiang said the character of young Manford reminds her of former NBA point and shooting guard Allen Iverson. "He's like the scrappy, barely-stays-in-the rules kind of guy," Chiang said. "He has to negotiate backdoor ways because going through the proper channels has never worked for him." That also describes kids of immigrant families, Chiang said, who often have to work twice as hard to get by. 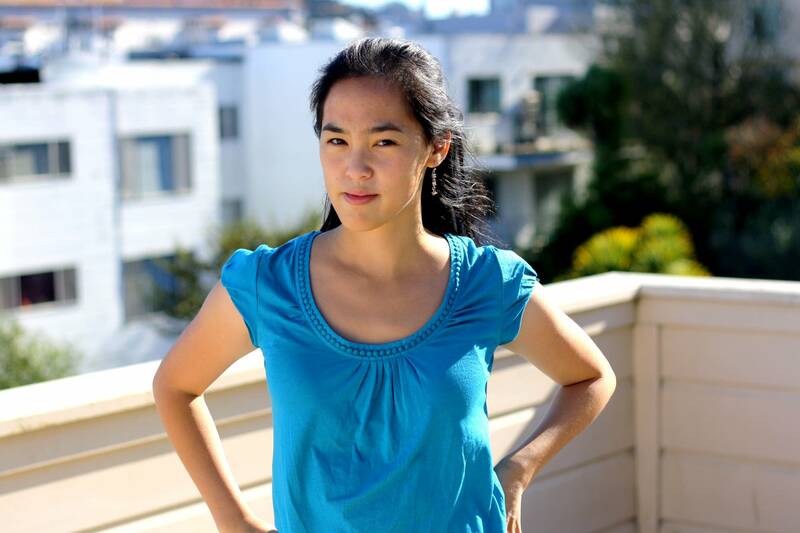 Playwright Lauren Yee said the play may have been inspired by her father, but she also thought a lot about her brothers — young Asian-American men trying to make space for themselves in the world. Because at its core, she said, basketball is all about the fight for space. "At the NBA level everyone's good enough to get the ball in the hoop," Yee said. "Like LeBron James or Steph Curry can sink a 3-point shot. But what's much harder is doing that when you've got a defender on your tail, trying to block you, get in your way. 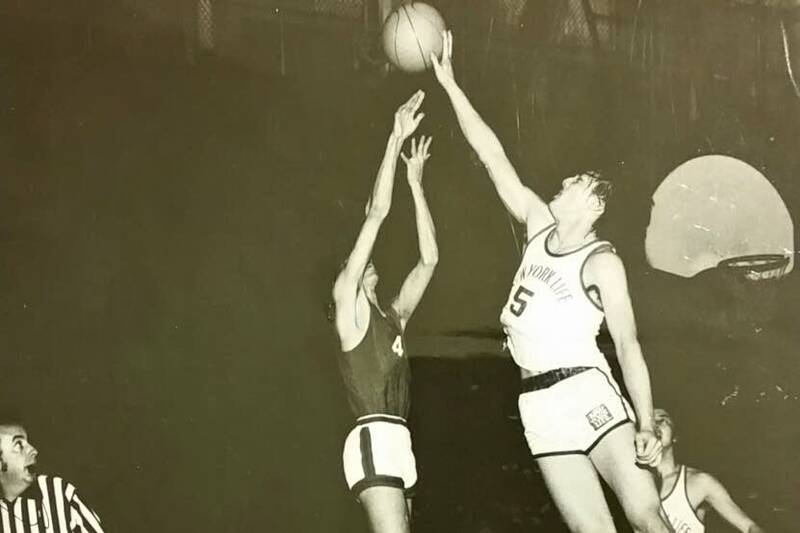 And one of the goals in basketball, in passing the ball or dribbling, is about creating space for yourself — losing that defender long enough for you to see some daylight and get your shot off." "The Great Leap" runs through Feb. 10 at the Guthrie. Oh, and that "friendship game" that Yee's father played against the Beijing team? It was a disaster. Beijing's center was the legendary Mu Tiezhu — 7 feet, 6 inches tall and 350 pounds. The Americans never had a chance.